How can we finish well? 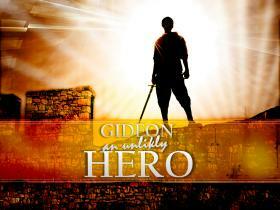 Pastor Waggoner unfolds how that is determined in our own lives as we look at our unlikely hero, Gideon. How can we experience God’s victory? Pastor Waggoner gives us practical applications to follow so we can stay God-focused. Pastor Waggoner teaches us how we can be looking for God’s work in today’s world as we learn from Gideon. What does giving God glory mean, require and produce? Pastor Waggoner unpacks the answers as we continue to look at Gideon. What can we learn from Gideon’s fleece? How can we stay sensitive to the presence of God in our lives? Pastor Waggoner uncovers the answers in this study. We are called to take a courageous public stand for God. How can we do this in today’s world and what can we expect when we do?